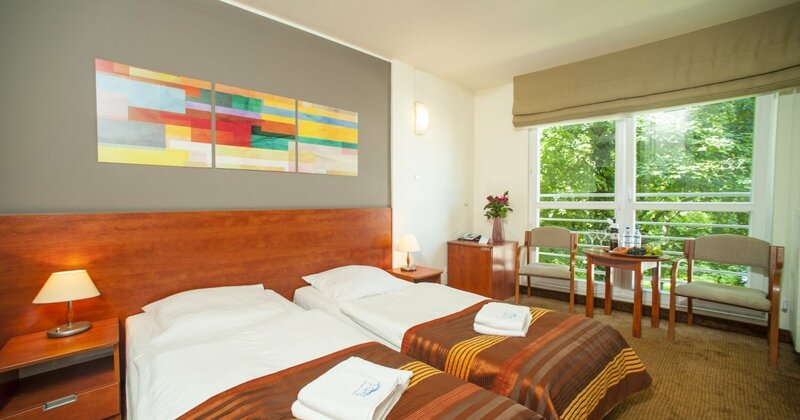 A breathtaking view of the Baltic Sea is an unquestionable advantage of the double room with a sea view. The room includes two single beds, a wardrobe, desk, fridge, telephone, TV and Wi-Fi. It also features a bathroom with a shower, towels, toiletries and a hairdryer. Every room comes with a balcony. Rooms are cleaned on weekdays. The room includes two single beds, a wardrobe, desk, fridge, telephone, TV and Wi-Fi. It also features a bathroom with a shower, towels, toiletries and a hairdryer. Every room comes with a balcony. Rooms are cleaned on weekdays.